The natural beauty that awaits you on Cagayancillo Island in the Philippines. Cagayancillo Island is not a popular tourist destination as most visitors to the Philippines prefer the tourist infrastructure and luxuries of the many other nearby destinations. There aren’t many tourists who end up on Cagayancillo island while on vacation in the Philippines because Cagayancillo has no tourist infrastructure in place. As a matter of fact, the island hardly has any developments or infrastructure in place at all and even something as simple as electricity is seen as a luxury here. This can be appealing to some, especially to those who want peace and quiet, and for those who want a real feel and experience of the rural side of the Philippines. However, most tourists prefer the many luxuries and amneties that the other places provide. It’s also hard and often expensive to make your way here to Cagayancillo Island. The cheapest way to get here is by boat – and this is usually done by paying one of the locals who has a boat to take you. The other option – which is more expensive but much quicker – is to pay someone to take you on their private plane. There aren’t many things to do on Cagayancillo island. Visitors can explore the Tubbataha Reef Natural Park, visit the historical Cagayancillo fort and take walks along the beach. It’s not advised to go swimming in the ocean as many parts of the water that surrounds the island can be treacherous and there are no lifeguards on duty – actually there will be no one who will be able to help. So it’s strongly advised to stay out of the water. The Tubbataha Reef Natural Park isn’t on Cagayancillo island or found a short distance off shore. It sits further out somewhere near the middle of the Sulu Sea but it falls under the Cagayancillo island jurisdiction. The Tubbataha reef is surrounded by various atolls to its north and south and is where you will find some of the most incredible coral reefs you have ever layed your eyes on. It’s a place where a wide range of marine life thrives. What many people don’t know is that the Tubbataha Reef was the very first protected sanctuary and today it’s a UNESCO World Heritage Site. There are many tour operators that can take you to the reef to do some guided diving and snorkeling but you won’t find any of these tour operators on Cagayancillo Island. The best thing to do is to make your way to one of the main islands in the atoll and find a tour operator there who will take you to the reef. It’s well worth the effort though. The Cagayancillo Fort was once vital to the safety of locals on the island as it protected them from pirates and other invaders. It’s a beautiful sight and its walls are made from rocks taken from the ocean. The fort also has a small church within its compound. Today, tourists can visit this beautiful historical site and the off peak entrance fee is $20 US for adults while kids get in for half price. Cagayancillo island has a wet and dry season – with the dry season being from December to May and the wet season from November to August. The wet season sees enormous amounts of rain and flooding is very common which will make travel between various places on Cagayancillo island harder than what it already is so the best time to visit will be during the dry season. 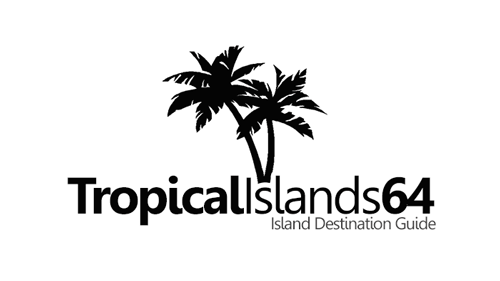 Find accommodations: You won’t find any proper accommodations on Cagayancillo island. However, in nearby Palawan you will find lots. Most visitors to Cagayancillo island stay in Palawan and go on day trips to the island, sometimes even camping out on the island for a night or two. Staying with some of the locals are also a viable option. AWA’s 2005 Mission: Read the Story of AWA’s mission to this beautiful Filipino island.